Recently Phoronix ran a range of benchmarks comparing the performance of our POWER9 processor against the Intel Xeon and AMD EPYC processors. 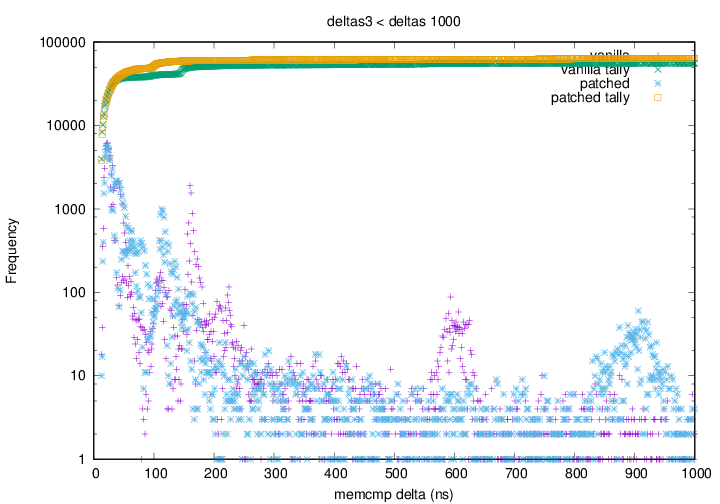 We did well in the Stockfish, LLVM Compilation, Zstd compression, and the Tinymembench benchmarks. A few of my colleagues did a bit of investigating into some the benchmarks where we didn't perform quite so well. The Parboil benchmarks are a collection of programs from various scientific and commercial fields that are useful for examining the performance and development of different architectures and tools. 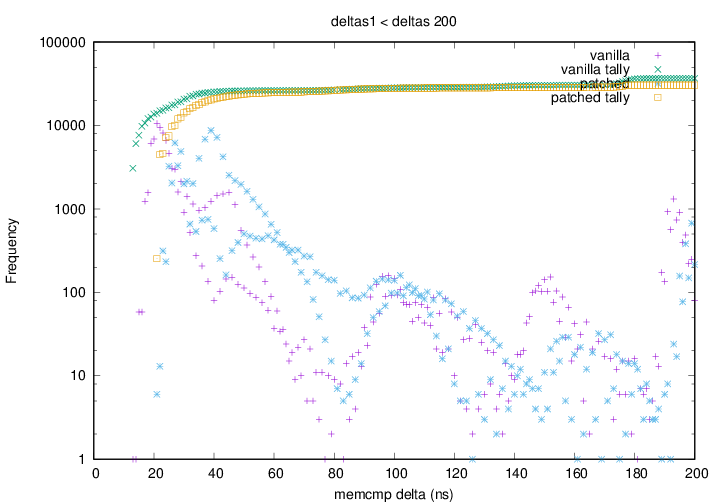 In this round of benchmarks Phoronix used the lbm benchmark: a fluid dynamics simulation using the Lattice-Boltzmann Method. lbm is an iterative algorithm - the problem is broken down into discrete time steps, and at each time step a bunch of calculations are done to simulate the change in the system. Each time step relies on the results of the previous one. 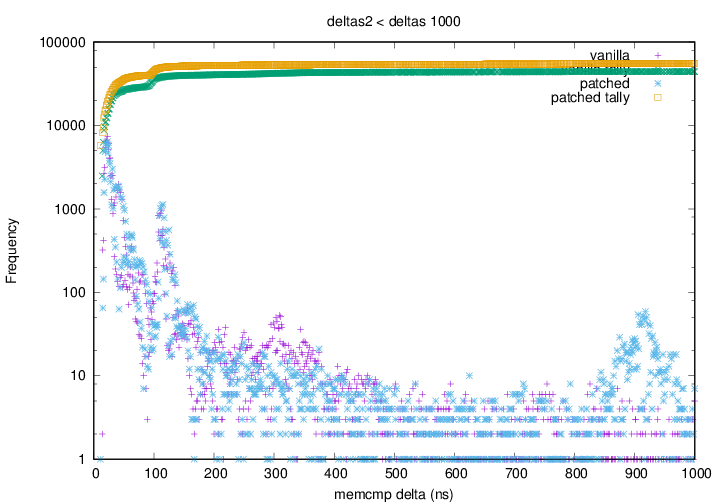 The benchmark uses OpenMP to parallelise the workload, spreading the calculations done in each time step across many CPUs. The number of calculations scales with the resolution of the simulation. Also this benchmark is compiled without any optimisation. 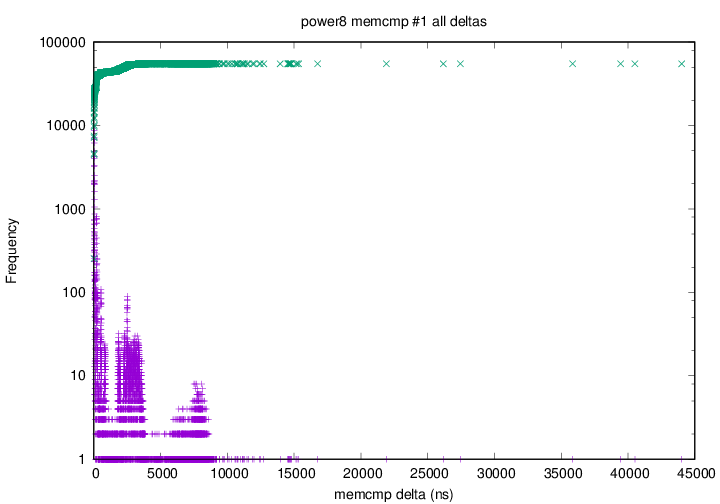 Recompiling with -O3 improves the results 3.2x on POWER9. x264 is a library that encodes videos into the H.264/MPEG-4 format. x264 encoding requires a lot of integer kernels doing operations on image elements. The math and vectorisation optimisations are quite complex, so Nick only had a quick look at the basics. The systems and environments (e.g. gcc version 8.1 for Skylake, 8.0 for POWER9) are not completely apples to apples so for now patterns are more important than the absolute results. Interestingly the output video files between architectures are not the same, particularly with different asm routines and compiler options used, which makes it difficult to verify the correctness of any changes. All tests were run single threaded to avoid any SMT effects. With the default upstream build of x264, Skylake is significantly faster than POWER9 on this benchmark (Skylake: 9.20 fps, POWER9: 3.39 fps). POWER9 contains some vectorised routines, so an initial suspicion is that Skylake's larger vector size may be responsible for its higher throughput. Let's test our vector size suspicion by restricting Skylake to SSE4.2 code (with 128 bit vectors, the same width as POWER9). This hardly slows down the x86 CPU at all (Skylake: 8.37 fps, POWER9: 3.39 fps), which indicates it's not taking much advantage of the larger vectors. So the next guess would be that x86 just has more and better optimized versions of costly functions (in the version of x264 that Phoronix used there are only six powerpc specific files compared with 21 x86 specific files). Without the time or expertise to dig into the complex task of writing vector code, we'll see if the compiler can help, and turn on autovectorisation (x264 compiles with -fno-tree-vectorize by default, which disables auto vectorization). 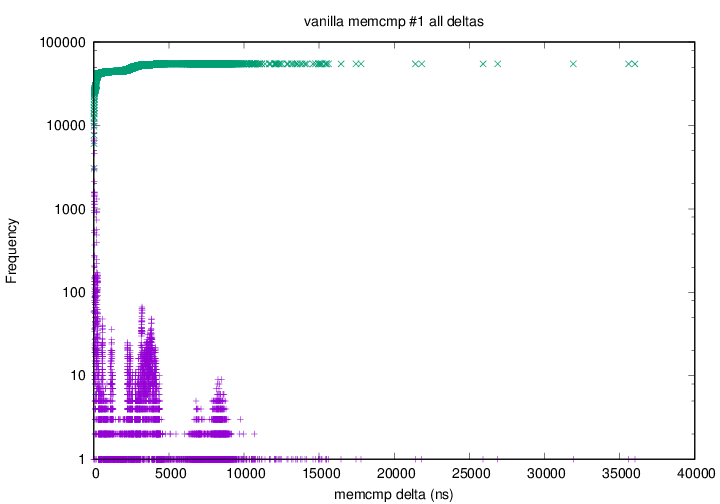 Looking at a perf profile of the benchmark we can see that one costly function, quant_4x4x4, is not autovectorised. With a small change to the code, gcc does vectorise it, giving a slight speedup with the output file checksum unchanged (Skylake: 9.20 fps, POWER9: 3.83 fps). We got a small improvement with the compiler, but it looks like we may have gains left on the table with our vector code. If you're interested in looking into this, we do have some active bounties for x264 (lu-zero/x264). 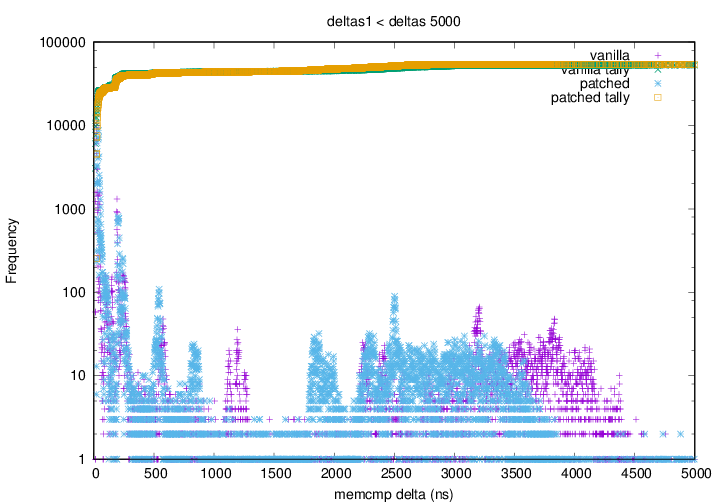 Nick also investigated running this benchmark with SMT enabled and across multiple cores, and it looks like the code is not scalable enough to feed 176 threads on a 44 core system. Disabling SMT in parallel runs actually helped, but there was still idle time. That may be another thing to look at, although it may not be such a problem for smaller systems. Primesieve is a program and C/C++ library that generates all the prime numbers below a given number. It uses an optimised Sieve of Eratosthenes implementation. The algorithm uses the L1 cache size as the sieve size for the core loop. This is an issue when we are running in SMT mode (aka more than one thread per core) as all threads on a core share the same L1 cache and so will constantly be invalidating each others cache-lines. As you can see in the table below, running the benchmark in single threaded mode is 30% faster than in SMT4 mode! This means in SMT-4 mode the workload is about 4x too large for the L1 cache. A better sieve size to use would be the L1 cache size / number of threads per core. Anton posted a pull request to update the sieve size. Despite its name, a recursive acronym for "LAME Ain't an MP3 Encoder", LAME is indeed an MP3 encoder. Due to configure options not being parsed correctly this benchmark is built without any optimisation regardless of architecture. 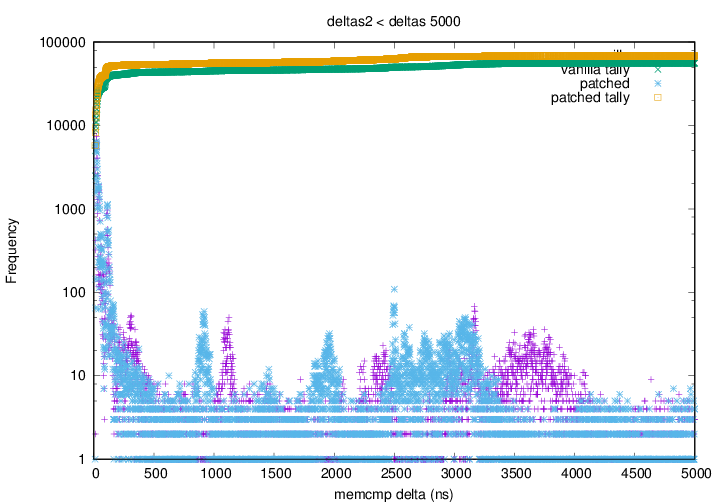 We see a massive speedup by turning optimisations on, and a further 6-8% speedup by enabling USE_FAST_LOG (which is already enabled for Intel). For more detail see Joel's writeup. FLAC is an alternative encoding format to MP3. But unlike MP3 encoding it is lossless! The benchmark here was encoding audio files into the FLAC format. The key part of this workload is missing vector support for POWER8 and POWER9. Anton and Amitay submitted this patch series that adds in POWER specific vector instructions. It also fixes the configuration options to correctly detect the POWER8 and POWER9 platforms. With this patch series we get see about a 3x improvement in this benchmark. Phoronix used OpenSSL-1.1.0f, which is almost half as slow for this benchmark (on POWER9) than mainline OpenSSL. Mainline OpenSSL has some powerpc multiplication and squaring assembly code which seems to be responsible for most of this speedup. SciKit-Learn is a bunch of python tools for data mining and analysis (aka machine learning). Blender is a 3D graphics suite that supports image rendering, animation, simulation and game creation. On the surface it appears that Blender 2.79b (the distro package version that Phoronix used by system/blender-1.0.2) failed to use more than 15 threads, even when "-t 128" was added to the Blender command line. It turns out that even though this benchmark was supposed to be run on CPUs only (you can choose to render on CPUs or GPUs), the GPU file was always being used. The GPU file is configured with a very large tile size (256x256) - which is fine for GPUs but not great for CPUs. The image size (1280x720) to tile size ratio limits the number of jobs created and therefore the number threads used. As you can see in the image below, now all of the cores are being utilised! Fortunately this has already been fixed in pts/blender-1.1.1. Thanks to the report by Daniel it has also been fixed in system/blender-1.1.0. Some of the benchmarks where we don't perform as well as Intel are where the benchmark has inline assembly for x86 but uses generic C compiler generated assembly for POWER9. We could probably benefit with some more powerpc optimsed functions. 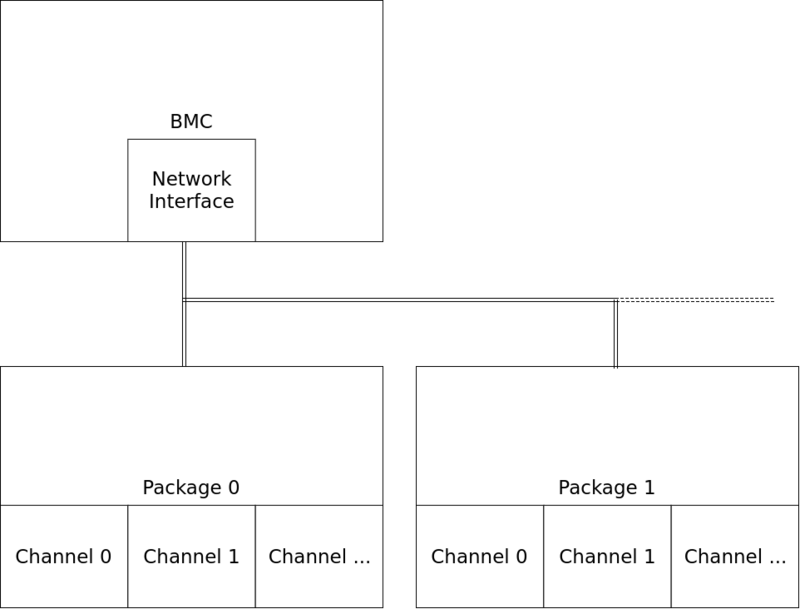 We also found a couple of things that should result in better performance for all three architectures, not just POWER. There is obviously room for more improvements, especially with the Primesieve and x264 benchmarks, but it would be interesting to see a re-run of the Phoronix benchmarks with these changes. Thanks to Anton, Daniel, Joel and Nick for the analysis of the above benchmarks. I'm currently working on firmware and kernel support for OpenCAPI on POWER9. I've recently been allocated a machine in the lab for development purposes. We use an internal IBM tool running on a secondary machine that triggers hardware initialisation procedures, then loads a specified skiboot firmware image, a kernel image, and a root file system directly into RAM. This allows us to get skiboot and Linux running without requiring the usual hostboot initialisation and gives us a lot of options for easier tinkering, so it's super-useful for our developers working on bringup. When I got access to my machine, I figured out the necessary scripts, developed a workflow, and started fixing my code... so far, so good. One day, I was trying to debug something and get logs off the machine using ssh and scp, when I got frustrated with having to repeatedly type in our ultra-secret, ultra-secure root password, abc123. So, I ran ssh-copy-id to copy over my public key, and all was good. I mentioned something about this to Jono, my housemate/partner-in-stupid-ideas, one evening a few weeks ago. We decided that clearly, the best way to solve this problem was to hardcode my SSH public key in the kernel. The SSH daemon looks for authorised public keys in ~/.ssh/authorized_keys, so we need to have a read of /root/.ssh/authorized_keys return a specified hard-coded string. I did a bit of investigation. My first thought was to put some kind of hook inside whatever filesystem driver was being used for the root. After some digging, I found out that the filesystem type rootfs, as seen in mount, is actually backed by the tmpfs filesystem. I took a look around the tmpfs code for a while, but didn't see any way to hook in a fake file without a lot of effort - the tmpfs code wasn't exactly designed with this in mind. I thought about it some more - what would be the easiest way to create a file such that it just returns a string? Then I remembered sysfs, the filesystem normally mounted at /sys, which is used by various kernel subsystems to expose configuration and debugging information to userspace in the form of files. The sysfs API allows you to define a file and specify callbacks to handle reads and writes to the file. That got me thinking - could I create a file in /sys, and then use a bind mount to have that file appear where I need it in /root/.ssh/authorized_keys? This approach seemed fairly straightforward, so I decided to give it a try. 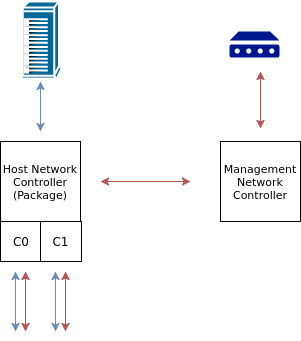 The sysfs pseudo file system was first introduced in Linux 2.6, and is generally used for exposing system and device information. Per the sysfs documentation, sysfs is tied in very closely with the kobject infrastructure. sysfs exposes kobjects as directories, containing "attributes" represented as files. The kobject infrastructure provides a way to define kobjects representing entities (e.g. devices) and ksets which define collections of kobjects (e.g. devices of a particular type). Using kobjects you can do lots of fancy things such as sending events to userspace when devices are hotplugged - but that's all out of the scope of this post. It turns out there's some fairly straightforward wrapper functions if all you want to do is create a kobject just to have a simple directory in sysfs. This creates and adds a kobject called ssh. And just like that, we've got a directory in /sys/ssh/! The next thing we have to do is define a sysfs attribute for our authorized_keys file. sysfs provides a framework for subsystems to define their own custom types of attributes with their own metadata - but for our purposes, we'll use the generic bin_attribute attribute type. We provide a simple callback, show_key(), that copies the key string into the file's buffer, and we put it in a bin_attribute with the appropriate name, size and permissions. Woo, we've now got /sys/ssh/authorized_keys! Time to move on to the bind mount. Now that we've got a directory with the key file in it, it's time to figure out the bind mount. Because I had no idea how any of the file system code works, I started off by running strace on mount --bind ~/tmp1 ~/tmp2 just to see how the userspace mount tool uses the mount syscall to request the bind mount. 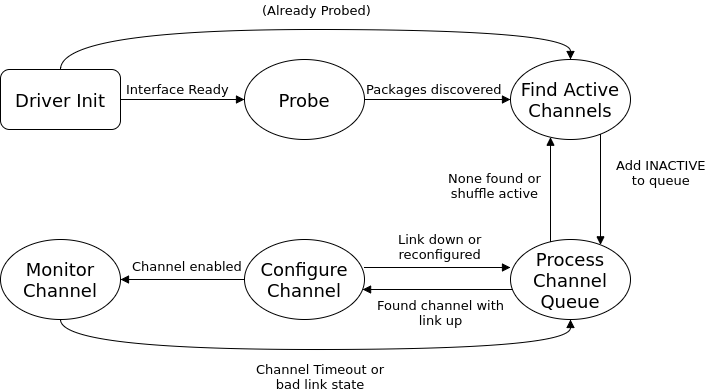 The first and second arguments are the source and target paths respectively. The third argument, looking at the signature of the mount syscall, is a pointer to a string with the file system type. Because this is a bind mount, the type is irrelevant (upon further digging, it turns out that this particular pointer is to the string "none"). The fourth argument is where we specify the flags bitfield. MS_MGC_VAL is a magic value that was required before Linux 2.4 and can now be safely ignored. MS_BIND, as you can probably guess, signals that we want a bind mount. Now, how is the syscall actually handled on the kernel side? The answer is found in fs/namespace.c. -2 is ENOENT - no such file or directory. For some reason, we can't find /sys/ssh... of course, that would be because even though we've created the sysfs entry, we haven't actually mounted sysfs on /sys. At this point, my key worked! Note that this requires that your root file system has an empty directory created at /sys to be the mount point. Additionally, in a typical Linux distribution environment (as opposed to my hardware bringup environment), your initial root file system will contain an init script that mounts your real root file system somewhere and calls pivot_root() to switch to the new root file system. At that point, the bind mount won't be visible from children processes using the new root - I think this could be worked around but would require some effort. The final piece of the puzzle is building our new code into the kernel image. bool "Andrew's dumb SSH key hack"
Hardcode an SSH key for /root/.ssh/authorized_keys. This is a stupid idea. If unsure, say N.
This will show up in make menuconfig under the File systems menu. If CONFIG_SSH_KEY is set to y, obj-$(CONFIG_SSH_KEY) evaluates to obj-y and thus ssh-key.o gets compiled. Conversely, obj-n is completely ignored by the build system. string "Value for SSH key"
Enter in the content for /root/.ssh/authorized_keys. And there we have it, a nicely configurable albeit highly limited kernel SSH backdoor! I've put the full code up on GitHub for perusal. Please don't use it, I will be extremely disappointed in you if you do. Thanks to Jono for giving me stupid ideas, and the rest of OzLabs for being very angry when they saw the disgusting things I was doing. Comments and further stupid suggestions welcome!